Get Out offers a blend of horror and comedy in a disturbing way. Chris and Rose have reached the stage to meet the parents of the girl over a weekend getaway. Chris is in struggle to deal with this interracial relationship and is a bit worried of the impression the family may have over him. As the weekend progresses, a disturbing twist of events happened that will lead Chris to a shocking truth. 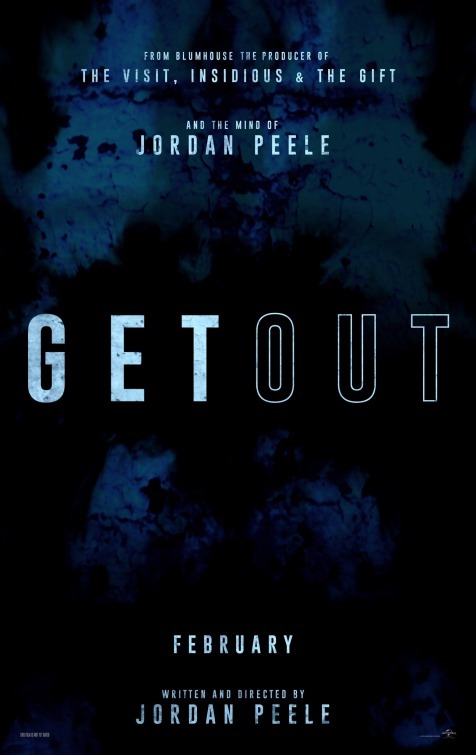 GET OUT is written and directed by Jordan Peele under Universal Pictures. CASTS: Daniel Kaluuya, Allison Williams, Catherine Keener, Bradley Whitford, Caleb Jones, Marcus Henderson, Betty Gabriel & LaKeith Stanfield. When expectations are low for the film, you began to like the movie as whole despite minor flaws. In the case of Get Out, the film exceeded my expectations at all cost. The film has the perfect blend of weird, scary, shocking and very disturbing twist that will truly stir your emotions from beginning until the end. Started off very quick and direct in terms of phasing and story-telling techniques. The movie touched issues of racism, romantic relationship and a very dark secret of the family and the neighborhood. It will start with familiarity and simple scenes. Just fee minutes later, the weird and scary stuff starts happening. I really like how the Director was able to pull of some amazing scenes involving people and their emotions. These were so vital in making the feel so eerie and very strange. You can almost feel the fear of Daniel’s character being surrounded by strange happenings around him. I commend the sound engineering as well. Production design was simple and is very inclined with the demand of the script. Moreover, the actors and actresses were also good in the movie. The climax was the film’s strength. I did not expect that happening. It was shocking and scary at the same time. The movie left me with a lingering feel too. One of the best Psychological-themed movie that is generally light in terms of scenes and tone but very heavy and dark in terms of plot. I was impressed. Well, this might disappoint some straight-horror fans or somehow they will find it lacking at some point.